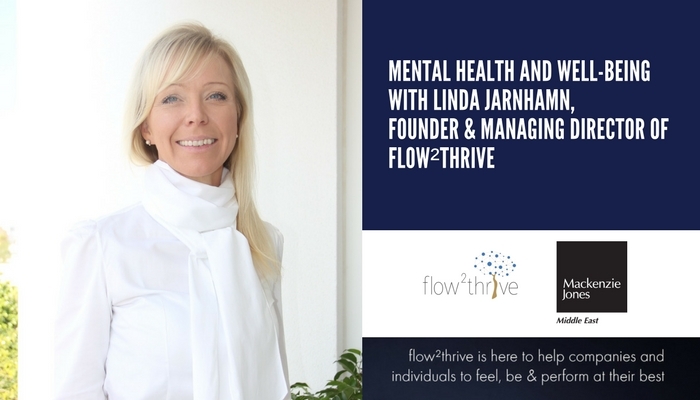 We sat down this week to explore the topic of mental health and well-being with Linda Jarnhamn, Founder & Managing Director of flow²thrive. Let’s start by looking at the general state of the market. We’ve had about 5 years or so of intense focus on happiness across the UAE. A few years back, mental health was rarely talked about. Are we starting to see a change, and if so, why? I do think we’re starting to see a change and I believe a number of factors have contributed to this. Firstly, I’d like to think that the main reason is a realisation amongst leaders and HR professionals that there is a real need for it. Stress levels have shot through the roof over the past 10 years and it is becoming increasingly difficult to ignore the impact and consequences of stress. Many of the companies that we talk to are starting to realise that they have moral, ethical and in many countries also legal obligation to take measurable steps and actions to, not only reduce, but also to prevent stress and mental illness. Some are also starting to become cognisant of the impact that stress and mental illnesses can have on the bottom line. External attention from governments and the media have also contributed. 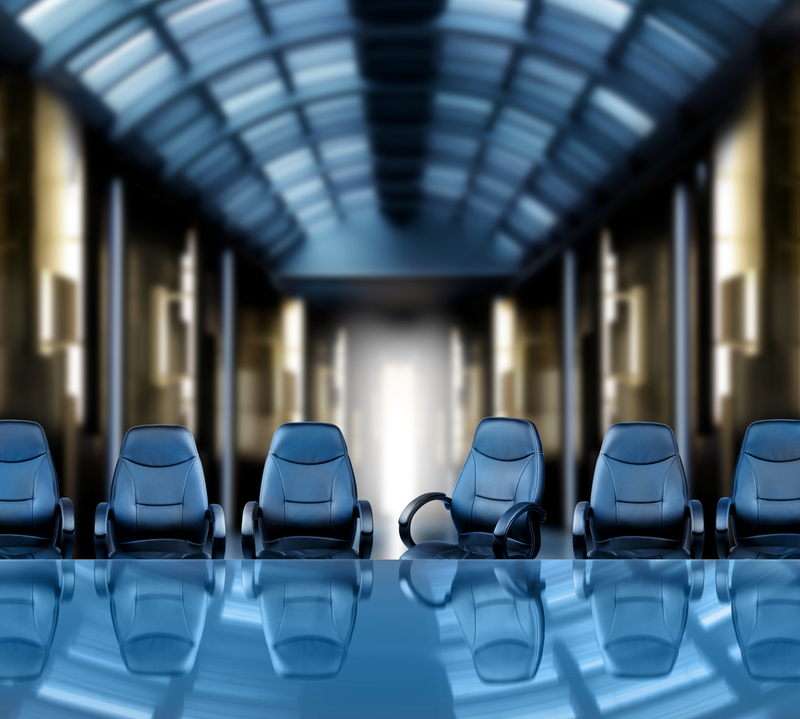 As an example, we’re seeing more and more senior executives opening-up on the topic, which certainly has contributed positively. What are the most common mental health issues especially here in the GCC and what are the contributing factors? First of all, we need to define what we mean by mental health. Many people mean ”mental illness” when they refer to mental health. There is also sometimes confusion as to what a contributing factor is and what an actual illness is. The big culprit from a work perspective is excessive stress, caused by long working hours, unmanageable pressure, poor work relationships, financial worries and often issues from outside of work, which over time tend to build up to unsustainable levels and ultimately result in anxiety, burnout and depression. We often don’t realise the load, and therefore the risk, that both physical and mental stress can put on our brains and bodies. Living under excessive stress has become the norm for many. Three, maybe less obvious, contributing factors are poor eating habits, lack of physical activity and insufficient sleep, all of which over and again have been proven to have a direct impact on mental well-being, both short and long term. Good eating, exercise and sleep habits make you more emotionally stable and resilient, which can help reducing stress and therefore the risk of developing further mental illness as a result of work. These, however, can also be a consequence of stress and mental illness. Yet, a vast majority of us are unaware, and sometimes even ignorant, of the direct impact our way of living can have on our mental health. However, there is a risk here. What we focus on, we tend to become. Not all employees are stressed, not everyone will burn out, get a panic attack or depressed. Some employees might simply be working and living in ways that don’t allow them to perform cognitively to their optimal level. Organisations need to identify this spectrum and tailor actions, solutions and budgets accordingly. We at flow2thrive work with an ecosystem of expert partners in this field. One of them is The Psychiatry & Therapy Centre, who we collaborate with specifically on Mental Well-Being at Work. They see many clients in their clinic with mental issues related to their work. Burnout, from extreme and extended stress levels leading to chronic emotional and physical exhaustion often as a result of lack of autonomy, value misalignment or consistent unfair treatments. Similarly we work with Dr Shefali Verma here in the UAE and 360 Health & Performance in the UK, functional medical specialists, working with leadership teams, top athletes and premier league football teams. They often see clients with physical illnesses, which are directly or indirectly linked to mental illnesses, or the other way around. It works both ways, and this is what both individuals and organisations often forget, which is back to my point above regarding food, sleep, exercise and stress, you sometimes don’t know what’s caused what, unless you stop to properly diagnose and analyse the issues. Sadly enough, too many of us continue to rush around, and prefer to take medicines to reduce pain, rather than making a conscious choice to identify and deal with the root causes. How is mental health impacting organisations? Can the cost be quantified? Mental illnesses cost companies globally an estimated $1 trillion per year. That is an incredible number and very difficult to relate to. At flow²thrive, we believe you can estimate the impact and cost of well-being, both physical and mental. We have developed an approach and we’re collaborating with a group of technology companies which, over time, will help us and our clients to obtain more and more accurate data on not just cost, but also the impact of programmes and initiatives on the objectives set. Most companies today which try to quantify cost, they focus on the cost of employees being out of the office due to mental illness. The challenge here is that this is only the tip of the iceberg and the cost incurred before an employee goes on sick-leave, is significantly higher than the cost of them staying at home. The costs of presenteeism and reduction in productivity are rarely captured and analysed but have been proven to be significantly higher than that of absenteeism (in one study 10 times higher). Stress and anxiety have a direct impact on cognitive performance and the executive function of our brain, which is significantly reduced. Our ability to pay attention, our working memory, decision-making and analytical capabilities are all reduced when we are stressed. In addition, very few companies properly track and measure the impact of their programmes, which we believe is of critical importance to do. We started our conversation saying we’re seeing an increased focus on mental health. What are companies across the region and globally doing? The ones who primarily focus on physical health, but who haven’t yet started to look at how to maximise potential, cognitive performance and mental wellbeing. These companies still have employees running what I call ”brainathlons”; employees who never switch off. The ones who have a holistic wellbeing strategy, focused on physical and mental health aimed at maximise potential and performance, looking across, what we at flow²thrive call “place of work” (the environment), “way of working” (the culture & habits) and “way of living” (influencers, disruptors and lifestyle habits), and track and measure initiatives and outcomes to clearly articulated objectives. We asked the question to a group of HR professionals a while back and whilst they all agreed we’re hearing and seeing more about mental well-being at work, the majority agreed that we’re only scratching the surface. Most organisations in the region sit somewhere between #1 and #2. Some have started to move towards #3. These are mostly international companies who are part of a global strategy and programme. For most companies, the first step is often to start raising awareness and reducing stigma, often through communication and training. We’ve certainly started to get more requests for mental health awareness training. This season we’ve also seen a few leaders ”opening up” at conferences, sharing their own experiences of mental illness. Reducing stigma and raising awareness are great first steps, but again, only scratching the surface. Looking outside of this and towards more advanced companies, we’re now working with a couple for companies to objectively measure stress, resilience and cognitive performance through advanced technology, where we track stress and emotional states and provide access to both personal well-being coaches as well as coaching through AI driven/machine learning technology. This will put the individuals more in the driver seat, they will understand their stress level measured through their autonomic nervous system, how their way of working and living directly impact both themselves and their teams, the risk they’re putting themselves under and the impact this is likely to have on their own potential to feel, be & perform at their best. This, more data driven approach, will provide companies with insights into the real issues and the drivers behind the issues, which will allow them to take proactive action to reduce issues and risks and target their ”well-being spend”. This, ultimately, will allow them to maximise the physical and mental well-being and cognitive performance of all their employees. The core purpose of flow²thrive is to help companies and individuals to feel, be and perform at their best. flow²thrive has developed a holistic, human-centric, technology enabled approach & ecosystem which aims to maximise individual and organisational potential and performance by looking at where we work, how we work and how we live. For more information on flow²thrive please visit www.flow2thrive.com or @flow2thrive on social media.